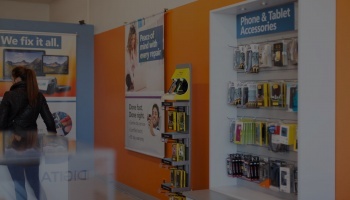 Digital Doc leads franchising in cell phone & electronic repair. 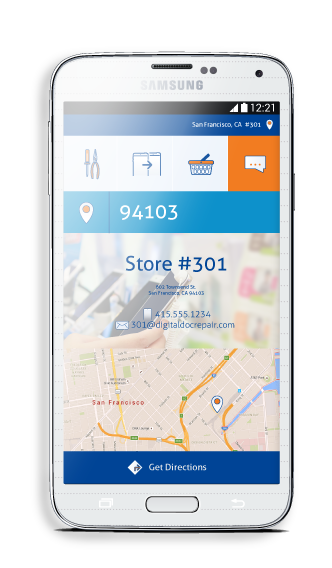 Open your own Digital Doc cell phone repair & retail franchise to reap the benefits of a trending industry with endless opportunities. For more information, call us at (877) 392-6278 or send us a message below. Open your own Digital Doc franchise today. Call our franchise development team to learn more! With low start-up costs, low overhead & high growth opportunity, owning a Digital Doc franchise is a great way to enter an industry that will only continue to grow. Our recession-proof business model & comprehensive opening program make it easy to start & maintain a successful business. With our unique hiring, training & certification program, your new franchise team of retail sales, technicians & management will be equipped to deliver superior service & skilled repair that rivals your local competition right from the start. Digital Doc is one of multiple brands owned & operated by the Merrymeeting Group. As a franchisee, you will have the support of an experienced company with all of the resources you need to make your store a success. Your Digital Doc franchise will have a major impact in your local market, backed by a unique position & a strong brand. Plus, our corporate marketing team will provide ongoing consultation & messaging that sets you apart & delivers exceptional results. 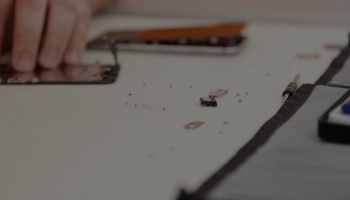 With more than 4.9 billion internet-connected devices today and 25 billion expected by 2020, now is the perfect time to enter the digital repair industry. After seeing the potential of this growing industry, we began offering franchising opportunities in 2013, opening 10 stores in that year alone. 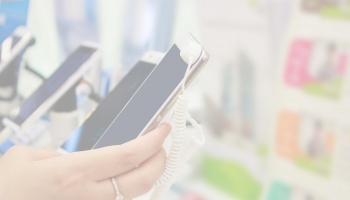 Our stores are full-service, digital one-stop shops focusing primarily on repair — a recipe for success and market dominance in an expanding industry. 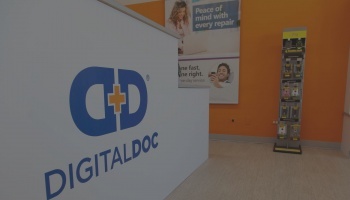 With comprehensive training, easy setup and continuous support from a strong parent company, Digital Doc gives franchisees the tools needed to easily and efficiently open their own store. Join a proven, highly successful recession-proof business model, and open up your own Digital Doc franchise today! Our training program equips your store with qualified employees who can deliver superior service and skilled repair. Your initial training will be two weeks at our state-of-the-art facility with our certified training team. Our state-of-the-art facility is in Peoria, IL, conveniently located near Peoria International Airport. How many employees can I bring? You are allowed to bring as many employees as you would like. What ongoing training is available? Our training center is equipped with a two-way HD video system that allows all employees to log in to any training sessions. In addition to scheduled trainings, employees have direct access to our certified trainers. Training is always free to you and your employees. You are only responsible for travel and lodging. We help you hire qualified, professional employees. Digital Doc Director of Talent Acquisition has pre-negotiated contracts with area schools and will provide you with the appropriate language for your job postings. What characteristics / qualities should my employees have? You do not have to be an expert technician to run a technical business expertly. We are so confident in our training program that we recommend our franchisees hire customer service representatives who pay attention to detail. We focus on hiring people with qualities we can't train, namely character and attitude. If an employee has great character and the right attitude, we can train them the technical aspects of the job. Do I need to hire part-time or full-time? We recommend hiring 3-4 part-time employees with one employee being the head technician. Part-time employees allow for a more flexible schedule. When should I hire employees? You should begin actively searching for employees 4-6 weeks from your initial training and begin hiring 2-4 weeks from initial training. Our experienced real estate experts help you identify prime locations for your Digital Doc franchise. Do you offer on-site real estate selection assistance? Our president visits every site before it is approved to be a Digital Doc store. How do I negotiate a lease? Digital Doc has an in-house real estate team, Legacy Properties, that will assist you in your lease negotiations. 800-1200 square feet of space in a retail strip center is suggested. As a Digital Doc franchisee, you’ll enjoy priority order fulfillment, wholesale pricing and preferred vendor relationships, giving you prioritized and personalized service. How do I get inventory parts? We have pre-negotiated contracts with multiple U.S. and China-based distributors. Does corporate make a profit off of my inventory orders? No. We put you directly in contact with our wholesale vendors. Do I get the best pricing? Digital Doc leverages the size of our parent company as well as current stores to obtain preferential pricing and access to inventory.